Here, for the week of October 3, 2016, is our TOSH top story of the week. 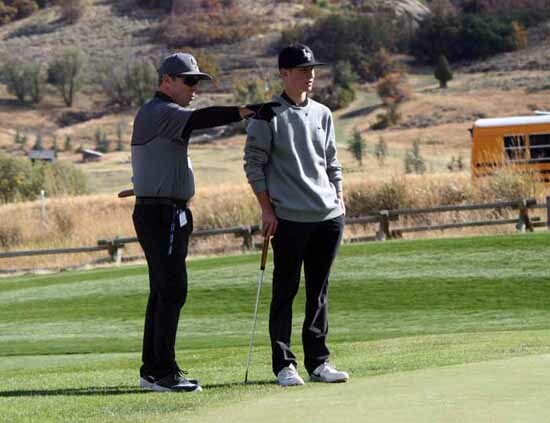 Perhaps the most notable fact about Day 2 at the UHSAA Class 5A state golf championships October 4 in Midway is this – Lone Peak’s Jaxon Long shot a 1-under par 71 and his score didn’t even count in the Knights’ team score for that day. In fact, three golfers fired 68s that day and one of those was set aside as well because Long’s 71 was the team’s sixth-best round of the day. 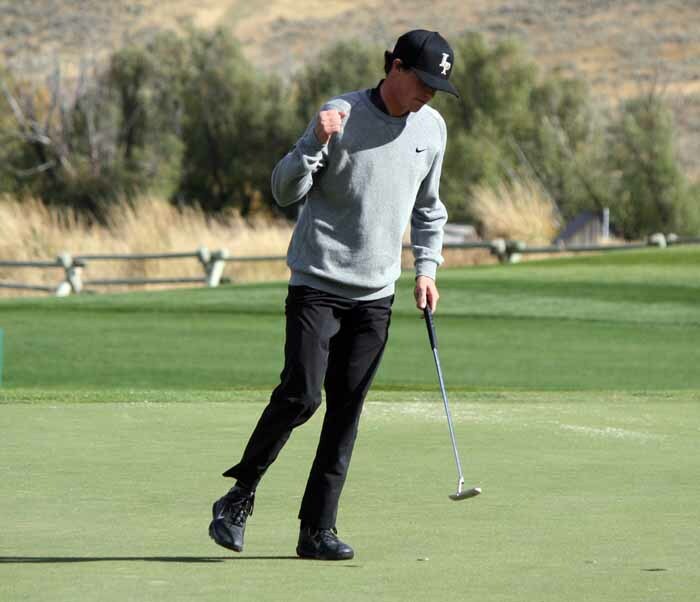 The two-day event on the Silver Course at Soldier Hollow finished Tuesday with five Knights in the Top 10, and Long was tied for 14th with a two-day score at 2-over 146. It was the fourth consecutive state championship for Lone Peak, the first time in state history a team had won the 5A banner four years in succession. That wasn’t the only record that fell last week. The Knights’ final-round 269 is the best-ever one-day score in state tournament history and their two-day total of 522 is the top performance ever in the state. Senior Elijah Turner, who held the lead after a Day 1 68, repeated that score Tuesday before finishing second individually after losing on the first playoff hole to Weber’s Connor Howe (70-66). Max Brenchley struggled on the front nine Monday, but recovered to shoot an even-par round that day. A second-day 6-under 66 pushed him into a tie for third place in the tournament. Josh Rooker (72-67) and Tyler Jones (71-68) shared fifth position overall, while Zach Jones (75-68) finished in a 10th-place tie. Those scores (66, 67, three 68s and a 71) by the six Knight golfers cements this program once again as the clear power broker in Utah high school golf. Turner, Long and Tyler Jones graduate this year, but Brenchley,, Rooker and Zach Jones will be back along with a number of talented golfers who are already part of this program. It bodes well for a run at consecutive title No. 5 a year from now.